Rachel Bilski, Taylor Best and Katie Karlen became best friends during their sophomore year of high school. 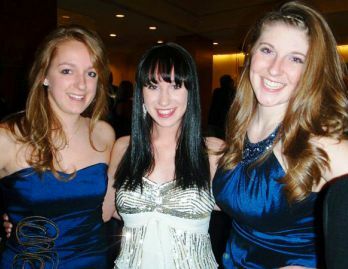 For their prom, the girls shopped together, got their hair done together and posed together as Charlie's Angels. 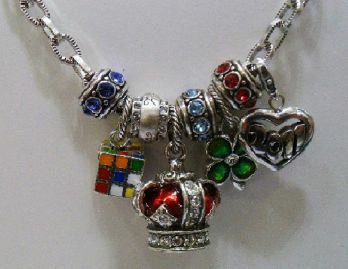 They chose a crown for "Princess" Katie; a Rubik's Cube for "logical" Rachel; and a Clover for Irish dancer Taylor. 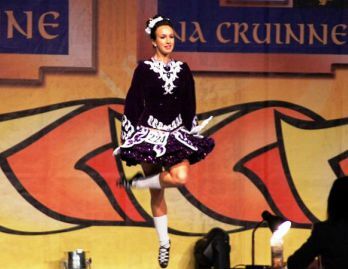 Taylor competes on a world level in Irish dance and placed fourth at the National Championships in July. "I love being the center of attention," admits Katie, "and adding my own flair to just about everything." 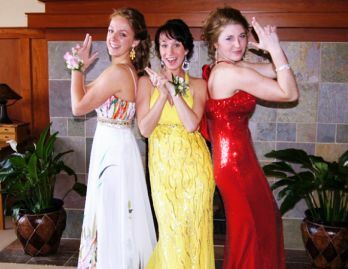 They posed as Charlie’s Angels at their prom. They played the Three Witches when their English class read MacBeth. And they’ve spent the last three years being leading lights and best friends at their high school near Minneapolis. Now, however, they’re attending colleges in three different states. How can these girlfriends stay close when they’re all going their separate ways? 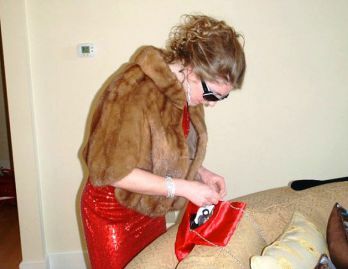 Katie Karlen, the “princess” of the trio, had an idea. Inspired by Sisterhood of the Traveling Pants, she suggested that the girls share a journal and key chain. She had browsed through Brighton Collectibles in Roseville, Minnesota, and remembered that customers could build their own charm bracelets there. So one morning in August, she, Rachel Bilski and Taylor Best went to that store in the Rosedale Mall to make their unique charm key fob. Rachel first experienced how Katie made things exciting when they met in science class freshman year at Benilde-St. Margaret’s High School. They were working on a group project – making a popsicle stick into a catapult to launch a cotton ball. Katie was in charge of cutting, attacking the stick with scissors. She ended up cutting Rachel’s finger. Benilde-St. Margaret's School prepared the girls for college. From that inauspicious beginning, they became best friends who were polar opposites. Rachel tends to be analytical rather than emotional; shy rather than outgoing (at least until she gets to know someone); quiet rather than loud. “Katie will do something and think about it later,” says Rachel. “I sit back and think about it first. I’m always talking her out of crazy ideas. And she’s always talking me into stuff.” Katie likes to say that together they make one great person. Katie and Rachel knew each other for six months before meeting Taylor during volleyball tryouts their sophomore year. Taylor had just moved to the Twin Cities area from Boston, and it was tough being “the new kid” at school. She was sitting by herself during a break when Rachel turned to her and asked, “Are you new here?” It was an unprovoked act of kindness that changed Taylor’s life at her new school. Rachel invited Taylor to eat lunch with her and Katie the next day. They all ended up making the team.